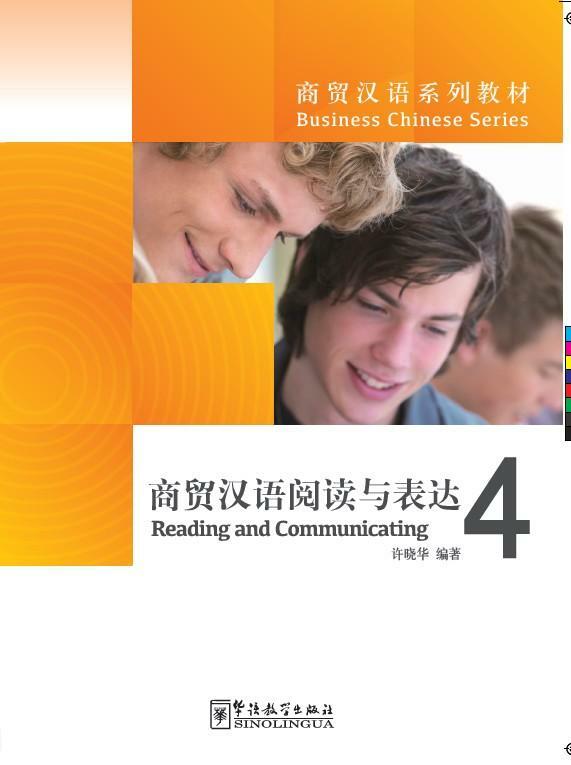 This is the fourth volume of Reading and Communicating in the Chinese Business Series and is designed for international students who have reached HSK levelⅤ, major in economics or business, or are foreigners engaged in commercial activities in China. The textbook is composed of ten units, each of which includes a major text (1000~1500 words), complementary texts, after-class reading material, a glossary, analysis of key sentence patterns, and background and integrated exercises. This book will help readers to improve not only their ability to understand business language and information, but also their competence in communicating (esp. in writing). This book can be used as a textbook for teaching institutions, self-learning material for students, or as a stepping-stone for students who are learning Chinese and wish to further their knowledge of economics or business in the Chinese language.